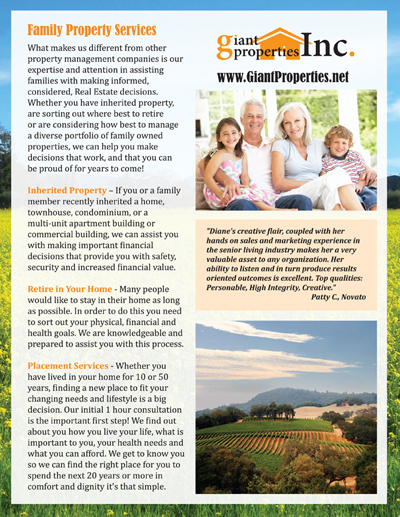 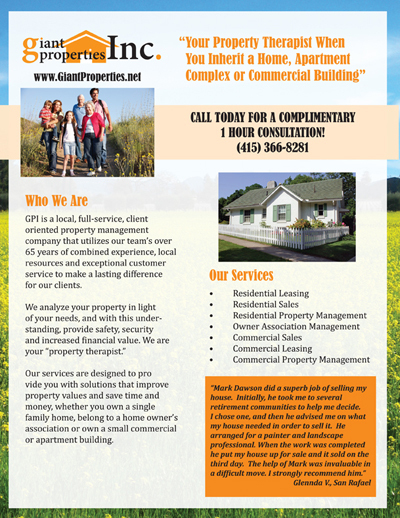 Giant Properties, Inc. needed new fliers that described their services. 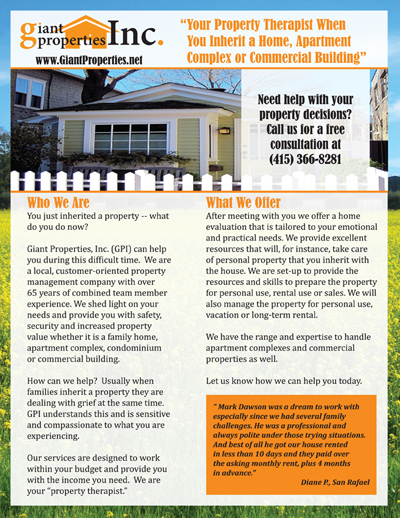 Below are two different flyers. 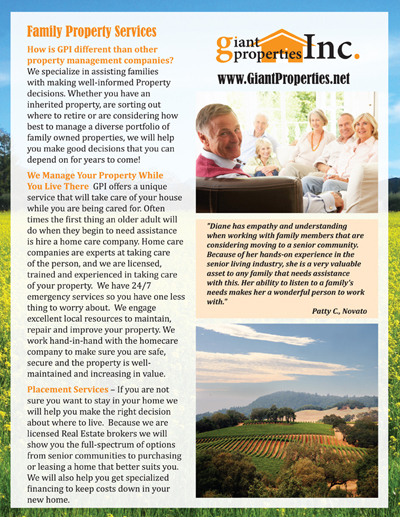 One flyer focuses on seniors and their families while the other flyer is dedicated to management of your properties.